This is the moment we have been waiting for!!! 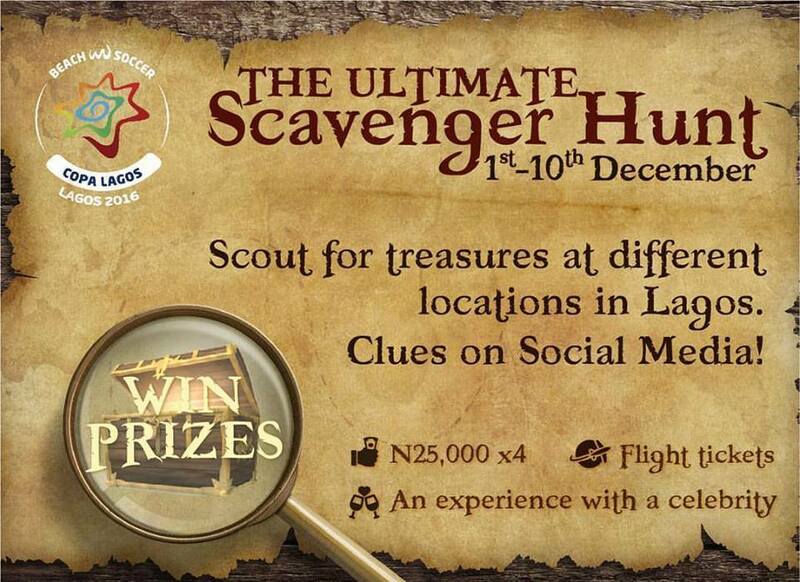 The #CopaLagosScavengerHunt is here!!!! Return flight tickets x 3 to any destination and so much moreeee!!! Scout for Treasures at different locations in Lagos. Contest Runs from 1st to 10th December, 2016.